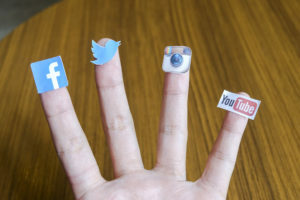 Social media is now the #1 means for driving engagement and fostering powerful connections with your audience. It provides opportunities to easily connect to individuals or entire communities, leveraging networks with far greater reach than single connections alone. Social media isn’t something you have, it is something you do. It’s immediate, responsive and it’s also among today’s leading word-of-mouth strategies. Digital platforms such as Facebook, Twitter, Instagram and many others provide easy ways to create and share information. Doing it right, however, is anything but simple.